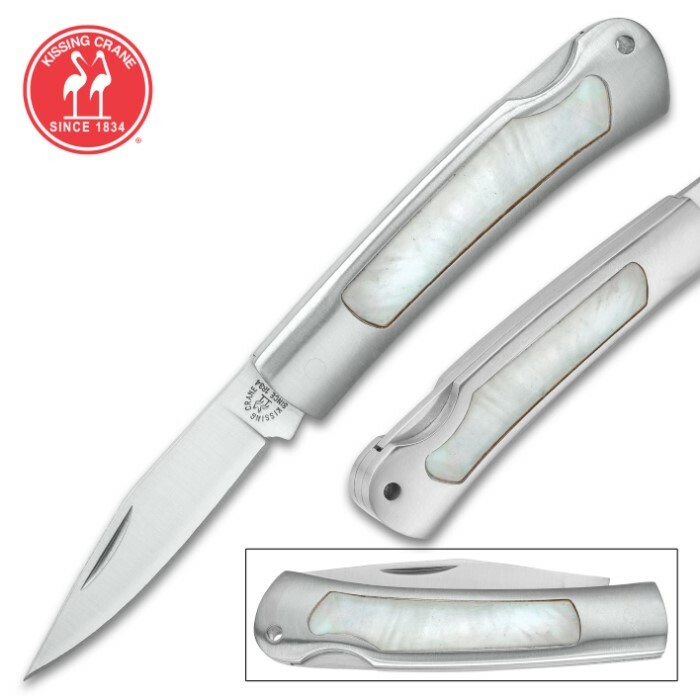 Kissing Crane Genuine Pearl And Stainless Mini Pocket Knife | BUDK.com - Knives & Swords At The Lowest Prices! 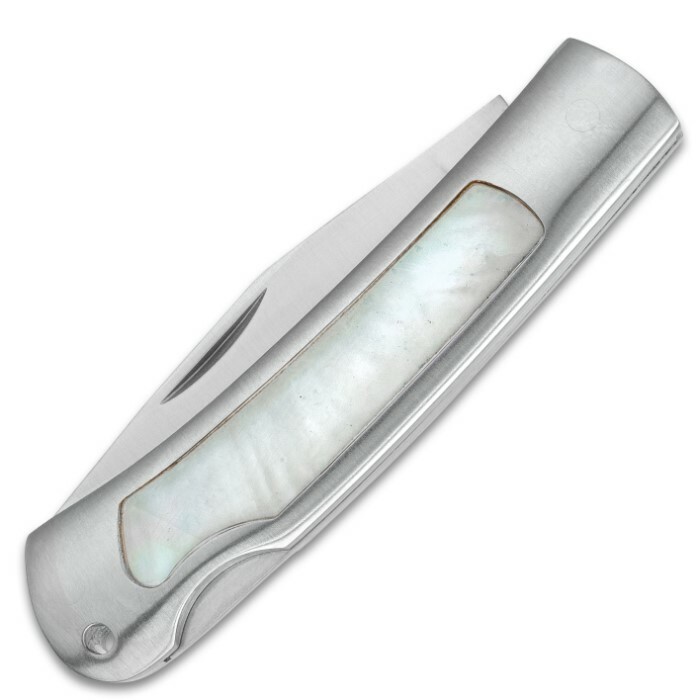 Our Kissing Crane Genuine Pearl and Stainless Pocket Knife looks like a beautifully sculpted piece of art. 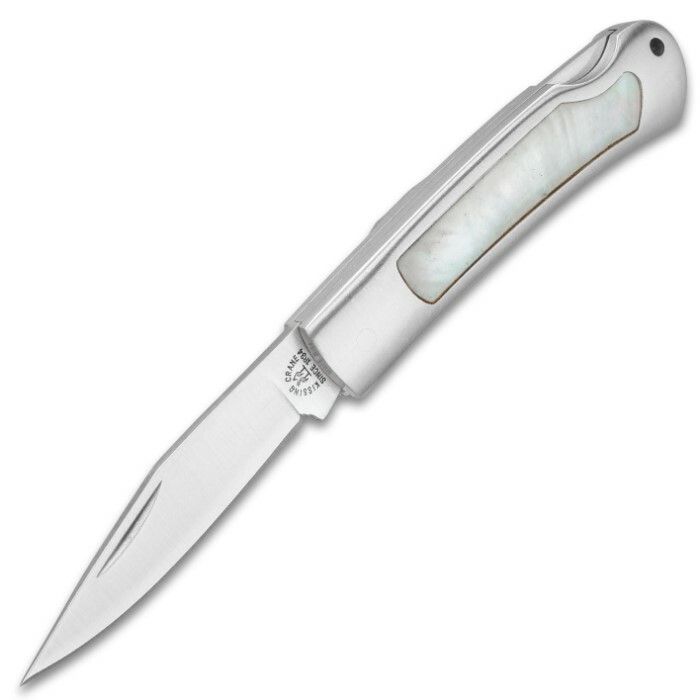 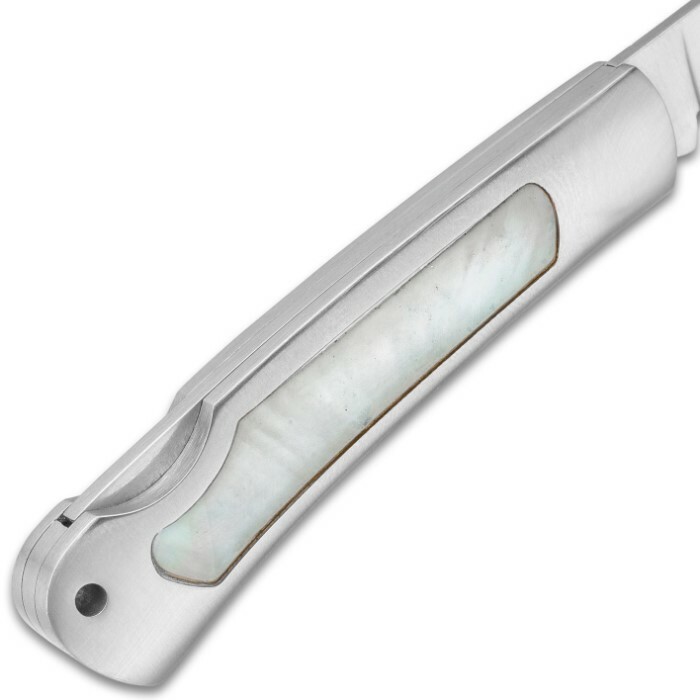 Exquisite, genuine pearl in swirling, iridescent white is artfully integrated into the stainless steel handle, which has a lockback design. The 2 1/2” stainless steel blade is razor-sharp and a nail nick makes it easy to access.